Audio can completely change the way we perceive a video. For example, ordinary footage from a summer vacation can become a great-looking movie just by adding appropriate music to it. But how to put music into a video? 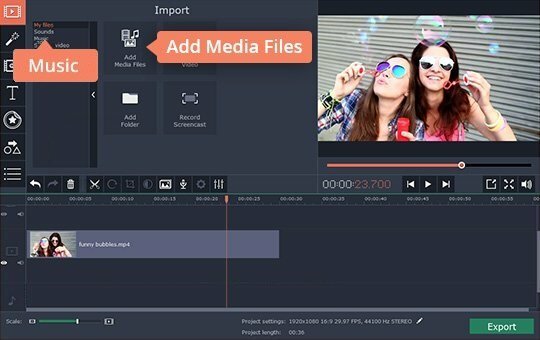 We recommend you use Free Video Editor. 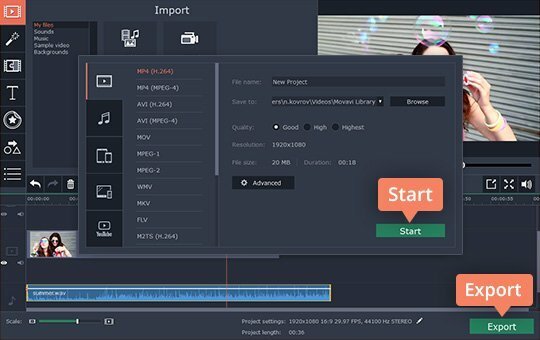 With this app, you can add music to your videos in just minutes! Download the program now and read on to learn how to add music to a video. Run the file you've downloaded and install the program on your computer following the instructions. When you've launched the program, select New Project in the welcome window. 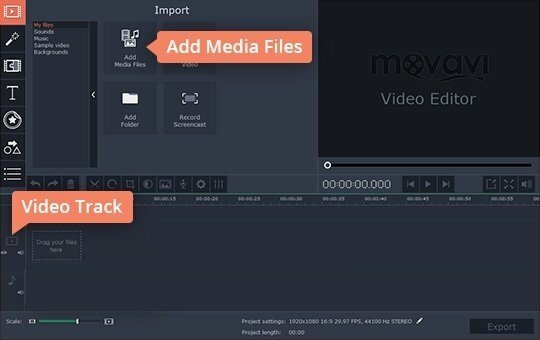 Then click Add Media Files and upload the videos you want to work with. The videos will be uploaded to the Video Track in the lower part of the program window. There are two ways you can add audio to the videos. If you want to upload your own music, click Add Media Files again and upload the desired audio files from your hard drive. The files will appear on the Audio Track on the timeline. You can use MP3 audio or any other popular audio format files. Alternatively you can choose from the built-in music and sound samples included with the program. To browse the audio collections, click Music and Sounds. When you find an audio file that you like, drag it to the timeline. You can do lots of things with your audio files: move them around the timeline, cut them using the Split button, and even use equalizer and add effects. To access the more advanced features, double-click the audio on the timeline and check out the Tools menu that opens to the left of the player. Click the Export button and select the desired export format. You can choose MP4, AVI, FLV, or other video format. When you're ready, click Start. Congratulations! 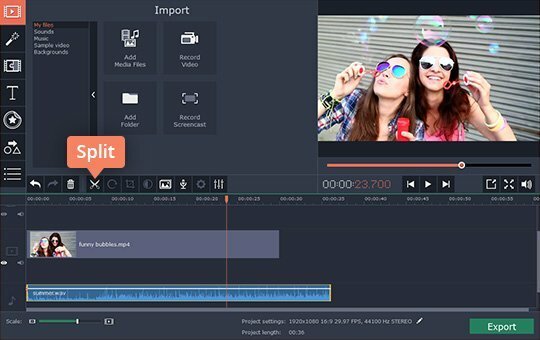 Now you know how to put music into a video using Free Video Editor.